Digital marketing wouldn’t be easy without a proper media kit. Media kit isn’t like creating a standard flyer to stick in a corner of the street for the next month or two. The necessity for new media kit to promote is at the heart of digital marketing for any organization irrespective of its size and business model. From the corporate companies to the NGOs, every business page needs to have right media kit for promotions, announcements and for website sliders. Now that we know about the photoshop which is used to create media kit by professionals. But, have you ever imagined how much time will it take to create a stunning poster or flyer digitally? It puts the designer’s creativity under pressure resulting in lame output at the end. To fasten the process of media kit creation, developers have introduced some platforms which allow anyone create stunning designs in minutes. This move saved the small companies that cannot afford a skillful designer. What the ready-made media kit creators do? All media kit creator platform offers users a neat workspace with readymade templates in all sizes supported by different social media platforms. They will have free images and paid images from original creators and lot of templates to create perfect posters in minutes. This is what I call LEVEL 1 of creating media kit using a web platform. What is Next Level platform be like? The first level designer tools use only static images, some fonts, objects and multiple sizes. The LEVEL 2, the NEXT LEVEL platform is creating media kit that animates. Animating promotions and videos are what mostly paid attention for, these days. Of course, images had been one in the highest prioritized media formats. But, due to the emerging video platforms, people got used to posts that actually animate. Crello is an easy-to-use design tool for creating stunning images for social media and other digital marketing means. Lot of free templates suitable to the trend are available which can be modified with just one click and edit at one’s hand will. It has 16,000 templates and 260 fonts in 40 formats to choose from. This variety of options motivated me to take a leap. Crello has a huge dinosaur library of 65 million images to choose. If you still want to upload your custom images and photos, there is an upload option through which we can do it. How to design something on Crello? You can directly click on any template to start designing or you can set dimensions of your choice and click ‘let’s go’ button to start designing from the scratch. My projects will show all your works at one place for future reference and download. So, you don’t need to worry about power surges or internet interruptions while you are designing something. Everything will be auto-saved by time- to-time. Trash – It will have your deleted projects. If you had changed your mind and go with the deleted design, you don’t need to go frustrated about it. Just check trash folder and restore it to resume working on it again. Inspiration is where you can all the templates to start your design. If you are stressed for the day and still need to design something for your social media, this is the option that comes as a savior for you. 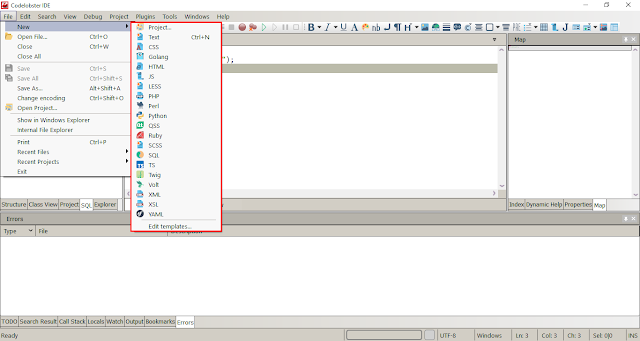 You can simple choose the category to filter out the necessary template related to that category. This is how the designer work-space looks like. It was totally bombarded with the options unlike the previous level 1 platforms I’ve used. Millions of free and paid photos. Various text formats and objects. The elements can be locked, edited separated for text and graphic. Shortcut keys & how-to guide for quick help. Can group the elements for easy moving. Separate download and share options with no confusion (because I’ve seen download and share as one option on other level 1 platforms). Every element can be customized. Just click on the right spot and keep editing to your flexibility. If you can, the new design will totally take a new shape out of a template that is available on Crello. While I was playing with Crello, I found out it is coming for 50% discount on its premium plans. I suggest you grab it before it evaporates. The most ambiguous situation for any developer is the selection of the development environment for his project. There are tools which offer full features for premium prices which are not affordable to an average developer. In this article, you will witness the simple and handy IDE with support to almost all trending web technologies. It interprets that it will foster the intellisense of web development technologies to make it easy for you to focus on the logic of the code instead of their semantics. Any IDE (Integrated Development Environment) available on the internet with fancy UIs and no actual functional features should tackle with the IDE that I’m going to discuss in this article. Codelobster IDE was developed to make web development in PHP easy and simpler all at one place. It supports and the syntaxes and semantics of several web development technologies like AngularJS, BackboneJS, Bootstrap, CakePHP, CodeIgnitor, Drupal, Ember, Joomla, jQuery, Laravel, Magneto, Meteor, NodeJS, Phalcon, Smarty Template Engine, Symfony, Twig, VueJS, WordPress and YiiFramework. Just like any other IDE, Codelobster PHP edition also got an aesthetic layout. 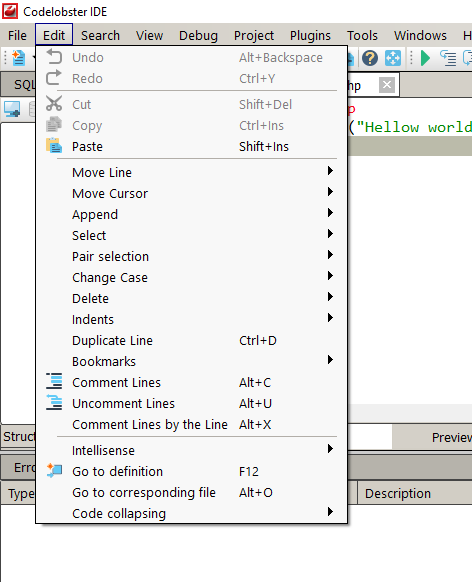 It has an explorer window on the left with files in a tree structure, a workspace window where the developer can code in the center and a properties window on the right showing all the properties of the line of code selected. These three windows are dynamic and changes with usage. At the bottom it has a status bar that updates the number of lines of code updated in rows and columns format along with the language encoding. Creating new files in development environment may not be a great option but the support for all pages created in different technologies is an awesome addition to any IDE. 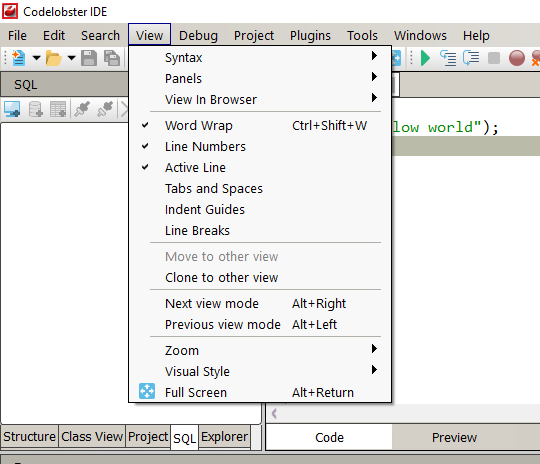 Codelobster is such IDE intellisense support with different libraries, packages and web technologies. A developer need not to get confused among different syntaxes but just to focus on the logic and functionality. 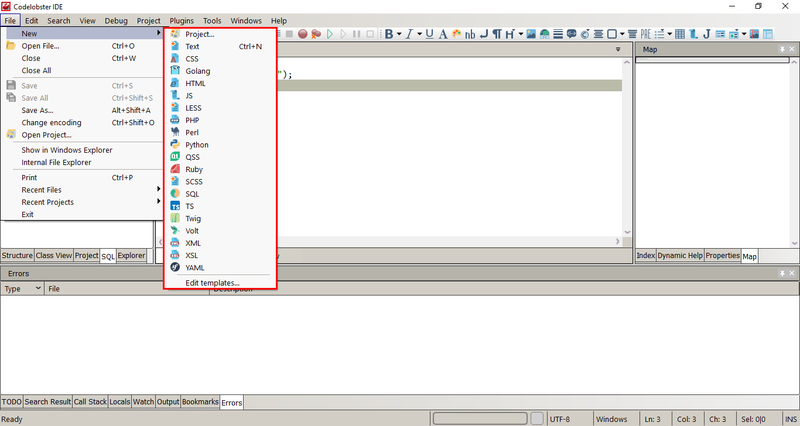 You can have a look at the technologies supported by the Codelobster IDE in the below screenshot. 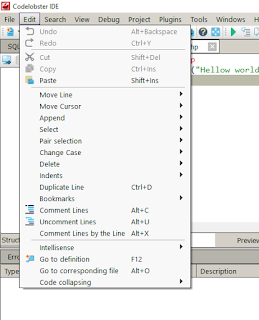 Editing options gives a complete set of handy operations on the workspace from moving line to append, change case, indents and duplication of lines. 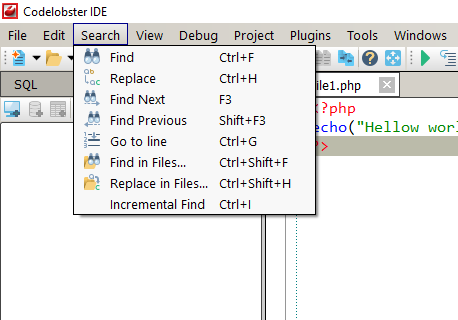 Codelobster has all conventional search and replace option that an editor should have in case of batch replacements of code. This feature is not a new one though but good to have it in a IDE. This is my favorite option of Codelobster. It not only gives the toggle switches to display or hide the panels, word-wrap, line numbers and active line but also the syntaxes. As we’ve already discussed that forgetting syntaxes is obvious for a developer with knowledge over different technologies. 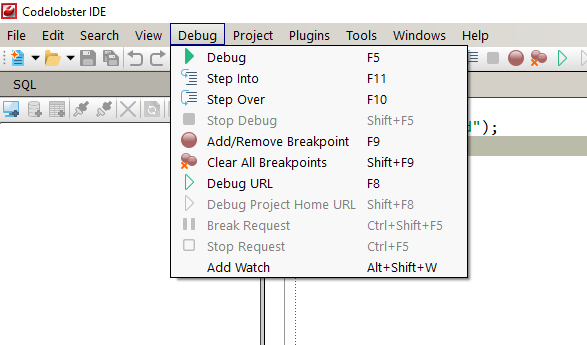 The debug options have all the necessary choice of operation including the breakpoint adding and removing. You would generally find this in a heavy development environment. It’s kinda surprising to see it in a lite weight IDE. Codelobster has set of built in tools that manages the SQL, validates the code, helps with snippets, formats code and my favorite option the converter. It converts the HTML files to PHP and PHP files to HTML in one go. It also coverts special characters to entities and vice versa. Likewise, it also converts characters to 8-bit encoders and back. If it misses base64 conversions, I would have something to say against this feature. Codelobster has beautiful themes available both for daytime and nighttime working environments. What else could a light weight IDE could hold under its sleeve. Why don’t you give it a try and tell me how it is working on this IDE comparatively with the other IDEs. If your computer freezes anytime, don’t blame it for Codelobster. Check out the following screenshot for more clarity. Boosting conversion rates and increasing sales is the number one priority of anyone who uses their website to make a profit and run a business. Even though you may be a blogger yourself, your long-term plan may involve full-time blogging and site monetization, both of which require certain web design principles to be implemented in order to make your site more user-friendly and inviting. Web designers are often lost as to what to do with their site to further increase conversion rates while bloggers think about what they are doing wrong with their research writing and articles that the visitors simply don’t like enough to subscribe or get in touch with them. What are some of the essential steps you should take in order to tweak your site for a conversion boost without looking for writing help in order to do so? No one wants to be a regular at a website that doesn’t know what it’s doing. People want to be able to connect with your content, purpose, and product on a personal level before putting any more effort into your content. This means that your brand’s value proposition needs to be as clear as possible all around the site. Why are you doing what you are doing? What is your long-term vision and milestones for achieving that vision? How are you going to achieve that vision? What types of content do you provide for your readers? What products do you sell? What are the key benefits, ingredients and/or prices of the products or services you provide? If there are no costs, what are the benefits of following your site and sharing it with friends and family? These questions are broken up into three segments, each more difficult to answer than the previous one. These are essential steps towards creating a friendlier environment for a boost in conversions, no matter if you are working towards a better student life or provide medical or cosmetic items for sale. Believe it or not, people like predictability and familiarity in the websites they visit. Choosing to experiment with your layout and provide a “unique browsing experience” might not be a good idea if you are aiming to boost your conversions. Taking a look at what your competitors are doing (based on your particular niche) is a good idea to get a grasp on how to better optimize your navigation layout for faster browsing. For example, if people expect to see a navigation bar on top with drop-down menus about college writing opportunities, why not give them that? Explore what your audience might want or even ask them outright while your site is still under construction. Keeping your pages consistent throughout the website is an essential step in attracting more conversions. People who see the effort you put into their ease of navigation and visual consistency will love to come back again and again, even bringing their friends with them. This often means that you will have to do a complete check on every piece of graphics you have on your site and make sure that the colors match up and create a visual hierarchy among them. Also worthy of note is the written content you have featured on your site using a writing service or creating it yourself. Checking for grammar errors, formatting problems, and hidden backlinks or advertisements can easily be done by getting some essay paper help online and talking to a professional. People in the online writing industry will have far more insight into how your site should be optimized for better reading and SEO optimization. A simple psychological exercise with your development team will give you a good idea of how a user might feel while navigating your website. If it takes more than five clicks for your visitors to make a purchase or more than three clicks to get to an article they want to read, you are doing something wrong. An excess number of pages per website is the number one reason for so many sites failing to reach a high conversion rate. People get bored after a few clicks and go look for top writers or designers for their needs somewhere else on the web. Optimize your site for the fastest possible results from the point of a user and watch your conversion rates grow. Put yourself in the shoes of your visitors and try reading a couple of your articles, navigating your site or buying something with ads constantly popping up around you. No one wants to see ads disrupt their browsing experience, especially if you want to boost conversion rates and have people come back over and over. Putting ads neatly into sidebars, out-of-sight banners or relying on sponsored content is much more user-friendly than using popups and pushing people to read pointless ads. These ads are essential in keeping your site alive, no matter if you sell food products, research papers or something third. However, your job is also to make these ads as least intrusive as possible when the general public is concerned. Lastly, optimizing your site through responsive design and making sure that as many people can access it as possible is a sure way to boost conversions. Some people use their mobile and tablet devices to browse the internet without even thinking about a desktop computer. Use responsive design in order to make sure that your site can be accessed through multiple devices and seen in its original form nevertheless. This will also increase your SERP ranking and SEO, bringing in more people organically without relying on external marketing or backlinks. Whenever you think about implementing a new ad system on your site or adding a new design layer to the existing layout, just ask yourself what your customers would do. 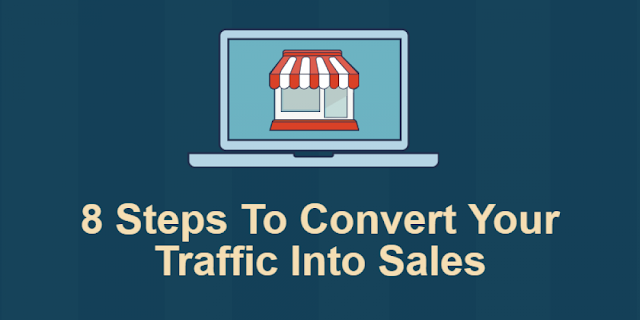 This should give you a clearer picture of whether or not an option will make their lives more difficult or easier, subsequently affecting your conversion rates in the process. Do whatever you can to encourage people to come back to your site through original content and services but pay attention to their habits and expectations as well. Combining these two elements in a healthy balance is the key to success when conversions and retention are concerned. Author Bio: Angela Baker is a freelance writer who is seeking to discover new ways for personal and professional growth. Currently she`s working in Best Essay Education company and trying to improve herself in the blogging career. Angela is an experienced and self-driven specialist who cannot imagine her life without writing. The framework has own DOM, so this framework calculates changes required in advance and updates accordingly. React Native mainly focuses on UI, giving responsive interface, so keep an application running smooth and without any interruptions. The framework runs on the server and virtual DOM reduced to the browser, resulting page allows search engine indexing with ease and favors all SEO processes. Iconic is the most powerful, free and open source mobile SDK that can be used to develop native and progressive web applications with ease. Considered as the easiest framework to learn, this framework is a great choice for all the less experienced developers, who are looking forward to developing an app. Moreover, the framework has a completely great community and documentation, so again it is beneficial for the newbie developers. Users can build their apps, customize them for Android or iOS and deploy through Cordova. The framework includes mobile components, interactive paradigms, typography and an extensible base theme. Developers, who are using Iconic, can control the scroll-view so that they can get the scroll position and get information about the current scroll-view instances. Currently, single page web applications are highly popular, so Angular JS is a right tool that accomplishes it using commands. Directives are extremely helpful when it comes to adding reusable code in the app to incorporate dynamic functionality. This framework offers all the features that Bootstrap 3 is missing. Moreover, it also comes with top components like overlays, sidebars, switches, absolute positioned navigation bars, etc. It offers the best option for enterprise-based apps with high-standards for code readability. jQuery Mobile framework is also a high-end framework that follows the write less, do more mantra and take it to the next level. Rather than writing a completely new and unique app for each mobile device of OS, this framework allows you to design a single highly-branded responsive website or app that work on all popular smartphone, desktop and tablet platforms. jQuery framework is built on top of jQuery core, so it has a minimal learning curve for people that are already familiar with jQuery syntax. Theming framework, allowing the creation of custom themes. HTML5-driven configuration for laying out pages with minimal scripting. UI widgets, which are touch-optimized and platform agnostic. Vue.js is an extremely lightweight progressive framework that can be used for building user interfaces. The framework’s core provides a React-like virtual DOM-powered view layer that can be integrated with some of the other obtainable libraries. However, the framework has an ability to power single-page applications. Simple to get started with high level of among developers. Why these frameworks are popular? Author Bio: Jyoti Bharwani is a Content Manager at Space-O Technologies. She has a keen interest in writing related to mobile app development and app marketing. In free time, she prefers to read non-fiction books. To follow her on Twitter. MotoCMS Review 2017: Should You Buy It or Not? Why? Website builders everywhere. The reach of technology to the common computer literate has taken easy norms in such a way to allow them to build their own websites without any technical knowledge but the knowledge of how to use the user interface. I’ve come across one such content management system, named MotoCMS that enables the users build websites for themselves or companies for their clients conveniently. Let’s peek into the internals of the MotoCMS Website Builder and check if it can become a reliable solution for quick website building. The MotoCMS offer two types of website building solutions. 1. Normal website builder – MotoCMS offers various templates of various categories of websites. You can choose to build a website for particular separate business or purpose with ready settings. Choosing a category of specific website design will take us to the particular category of website gallery to choose from. Each template can be previewed before installation. 2. Store builder – This solution is for online merchants who would like to have a ecommerce website to sell their products or services. The templates are fully tested, SEO friendly and functional. They can be easily installed in one click with the help of MotoCMS easy user interface. Surprisingly, I’ve found third-party hosting recommendations on MotoCMS hosting page. Featuring InMotion Hosting and Bluehost hosting with the hosting plan details with a link back to their pages is noticeable. This shows the healthy business association and dedication to serve customer better. Hosting recommendations on the page are impressive. MotoCMS provides clean tutorials about using their platform. Every step is hierarchically positioned and arranged point wisely. Several eBooks teaching topics from ‘how to leverage a business online’ to ‘on-page optimization’ guides are made available for free download and self-education. Premium tutorials teaching how to audit a website are specially designed to help newbies and non-techies handle their website and business single handedly. MotoCMS invites the enthusiastic bloggers and internet marketers to become their affiliate marketers. One can get the following benefits as an affiliate to MotoCMS. Simple 3-step signup process and easy approval. 365-days return cookie. Commissions will be added if any more sales made within a year. Up to 50% commission rate. Payment can be made through bank transfer, PayPal, Payoneer, Skrill and WebMoney. 2-tier affiliate system with 5% life-time share of second level affiliate earnings. Can create landing pages along with media kit for promotion. The affiliate program is promising with best commissions and facilities. Become MotoCMS affiliate in simple 3 steps and try your internet marketing skills here. MotoCMS offers discounts for developers who do websites for their clients. A developer can develop a website with 14-day trail program first, demonstrate to client, get paid and pay for the plan. Up to 50% per template chosen. White label for just $9/license. Free professional support for every loyalty level. Sell your product at your cost. Build your own business strategy. 2 hour quick ticket response time. The developer discount program is also impressive. It is useful for budding entrepreneurs and start-ups which can’t afford to invest more on the development cost at first. An budding business owner can consider MotoCMS in this perspective. Not every tools or business is perfect. MotoCMS also need to evolve and hopefully it would. Here are some of the features that this website builder have missed in my perspective. Expert developers need every byte of code written to watch and take control. MotoCMS need to improve its user interface in this perspective. No native hosting – Generally, the users will expect a native hosting from MotoCMS as soon as they find the hosting button. Third-party recommendations aren’t bad but disappointed. Not good for bloggers – Bloggers can’t utilize this platform well. They need plugins, control over the content mostly. MotoCMS creates professional websites for business and personal. They can’t be effectively sued as blogs. Hope they would introduce a good solution for bloggers as well. MotoCMS is a good website building platform with neat and easy user interface. An individual or a budding entrepreneur can create professional websites easily and proficiently without any expertise knowledge in web development technologies. Still, there are some additional features yet to be added for the sake of all rounder satisfaction to the platform just like for bloggers also. Hopefully they would bring more transformations in their future evolution. What do you think about MotoCMS? Did you like it? Share your thoughts about it in comments below. Keeping your website fresh and up to date with current trends and technologies is essential for your search engine ranking and UX. If you don’t pay enough attention to your website’s design and functionality, a high bounce rate is an inevitable outcome, and your conversion rates will drop immensely. If this is the kind of situation you are facing, then it’s time to implement some changes and test them out. Here are 6 tips on how you could do that. It is always a good idea to refresh your site with a set of new and quality images that give the wanted mood to your website. Rotating images on your website is a good way to make sure that your users are returning, as well as that your new visitors have a good first impression of your website. In order to have a perfect user experience, you should avoid generic stock photography, and use images that convey your own services and products in a sincere way that will increase brand loyalty. Keep in mind that your images need to be optimized in format and size, so that your website’s performance is unaffected. There are various image optimization plugins that can help you do this. The visual cues on your website are important, since they help your users determine and find what they are looking for. Coloring is essential, and bold and unexpected color moments are bound to bring attention to where it’s due. Mark your calls to action with appropriate action words in order to make sure that your users know exactly what they will achieve by clicking on them. They should include verbs that invite them to take a wanted action, and they should be called to do it right away. Keep in mind the psychology of color and the words that you use, in order to incorporate the appropriate psychological triggers for your visitors to identify with your website’s content. Customer testimonials are a kind of social proof of your competence and the quality of your products. Presenting this form of trust signals on your website is a good way to increase conversions on your sales, because it gives your brand a more favorable perception. The customers’ patience for sleazy marketing tricks is really low, so building trust with your customer base in a constructive way is extremely important. A large number of satisfied customers has a substantial influence, so make sure that you incorporate testimonials and reviews from your most loyal customers on various sections of your website: your product pages, landing pages, pricing pages and your home page. If not a warrant for a search engine penalty, landing on a non-existing page is a certain path to throwing away your visitors. Next to slow loading speed, there’s nothing worse than piquing your user’s interest with content, only for them to face a 404 error instead of what they were looking for. The problem with 404 errors is that they aren’t always your fault. It happens that pages change and URLs shift, and often you don’t even know that it happened. You need to optimize your 404 pages, or you can use some of the existing plugins that help you check for broken links and fix them right away. It is essential that you incorporate a good CMS for your website. WordPress is often recommended as the best solution, as it is very SEO-friendly due to a good semantic markup, and comes with a lot of customization options and plugins, which can help improve your website’s appearance and functionality. A good plugin you should try out is WordPress SEO by Yoast, which includes a complete website optimization package, allowing you to add open graph meta data, publish XML sitemap, do page analysis and more. Another one is W3 Total Cache, which optimizes your website’s speed and performance with browser caching and compresses pages for faster downloading. One of the most basic tips is to check your website’s content for improvements and pay attention to the smallest of details.Go through your website’s content and implement some on-page optimization methods, like writing meta-descriptions for your pages, adding alt and title tags to your images, using appropriate headings and subheadings, performing keyword analysis, etc. Paying attention to such details can go a long way. In the end, it’s important that you test the improvements and tweaks to your website, and always make sure you’re ahead of what your users expect from you. A properly designed website is both pleasant to the eye and at its best functionality. Make sure to never focus on one aspect at the price of another, and you’ll be good to go. Steven Clarke is a web entrepreneur and a business consultant. Whenever he gets the time, he likes to write about his ideas and share them with the world. He is currently advising WordPress Development companies from Sydney. You can find him on Twitter. We are starting to see more and more animation being used in web design. One of the best advice one can get when it comes to using animation on their websites is moderation. Simple and small animations can be fun and engaging and when done right, the average user might not even notice them. This is considered to be the holy grail of animation use as they should be a part of a good design flow and not a hindrance or an eye sore. What makes animation so useful in today’s web design trends is the effect of realism they provide. Most websites rely on flat, minimal design style, so the average user needs more visual cues in order to fully understand how to use the website. Simple animation is used to direct the user to a certain part of the website without drastically changing the overall aesthetic of the website. They should provide clear instructions and order to types of design that are too visually simple to be able to provide sufficient direction for the users. When should animation be used? The primary goal for animation use must always be the increase in usability. Small bits of animation can be an excellent tool for providing the user with additional contexts, such as what a specific button does or where to head next on the website. They should highlight the specific action available to the user and create an overall flow to the way a website is used. Of course, usability isn’t the only reason for using animations. They can be used to embellish and decorate the content provided on the website, help tells a specific story or simply invoke an emotional response from the visitor. Small animations should be looked at as bits and pieces the users discovers when they interact with your website. Whether it’s a simple hover animation, usability guide or an ornament, they should accent the overall look and feel of the website and not be the emphasis of the design. Larger animations have a scale to them. They fill most of the screen and often have the characteristics of a short clip or a movie. They should be used as the main focus of the overall design where the user doesn’t have to perform an action in order to see the actual animation. This is one of the oldest use for animations. Their sole purpose is to distract the average user from long loading times. Even a short loading animation can add some sophistication, or simply entertain the user during the wait. They are very popular for use in flat and minimal designs, sites that have only one page and portfolios. But you need to remember, best loading animations are the simplest ones. If you ever need to use additional audio and visual effects, make sure they match the overall “personality” of your website. One of the recent trends used by web designers to save screen space is hiding the navigation menus. They remain hidden until the users hover their mouse over the button or actually click it. The most used example is the “hamburger icon”, or the three small horizontal lines stacked on each other which hide the navigation portion of the website. The recommended animation for this kind of menus is either the pop-out or a simple slide in and out of the picture. These aren’t the only options, of course, designers also use sticky bars and sliders to make the transition animation of the navigation elements look familiar, but fresh at the same time. Hover animations are the most used form of navigation in today’s web design. This is mostly due to their practicality, as they familiarize the user with all the interactive elements of the website. Most often, hover animations are the only visual key that a part of the text, a button or a sign are in fact clickable. If the user is unsure how certain elements function, chances are they’ll hover their mouse over that specific element anyway, which makes this kind of animations very intuitive and natural to use. Gallery and slideshow animals are often misused and poorly executed, despite being used literally everywhere. This is due to two main reasons, with one of them being the extent of animation used for such a simple matter, i.e. overly complicated design. The other is messing around with the rate at which the images change and giving your site that “rushed” and unfinished feel. The actual design should always be minimal, with the average time for showing each picture never being shorter than 5 seconds and longer than 8-9 seconds. Scrolling animations give the user some form of control over the way they consume content by dictating the pace at which they consume it. The key to having a great scrolling navigation, whether it’s short or long, is the quality of used animation. If the user has to scroll for a longer period of time, then chances are they could get bored at some point, or simply lose focus. This is where scrolling animations come into play and the web designer must use them to entertain the user using an interactive element during the scrolling process. Page motion is mostly used to make the site a little more enjoyable and interesting, they don’t have too many practical benefits. When it comes to using animations on your website, make sure you remember that good animation should always enhance the user experience. Whether it’s by helping them understand what each part of the website does, guiding them through the content or simply eliciting an emotional response. Animation needs to have a concrete purpose, which should always be to breathe life into otherwise flat and two-dimensional design. Animation is becoming a standard for a large variety of applications, websites and marketing strategies and they’re not going anywhere anytime soon. Be moderate with their use, make sure you know why you are using them and always make sure they are there to provide the visitors with the best user experience possible. John Stone is a web entrepreneur and SEO Consultant. Through years of experience, he became a devout believer in the notion that form should always follow function and that developing the ability to think outside of the box is a prerequisite of being a successful entrepreneur. He currently advises companies about Web Design in Sydney. You can find him on Twitter. Telsa, the website theme cart website offers 50% OFF on all themes on the occasion of their 3rd anniversary. Tesla themes are neatly designed, SEO optimized, responsive and fast loading. There are whole 50+ templates on the website to grab from. If you are a blogger or an internet marketer, this is time to grab a few wonderful themes with 50% anniversary discount. This offer can be claimed till 31st of May of 2016. The popular themes on Tesla like Megalith, Hotelia, Narcos, E-Event, Daily Post are even available for 50% cut off prices. Go to TelsaThemes.com and search for your favorite theme. Enter the following coupon code while checking out. The offer will then be applied to your cart price and the total price will be shown. Checkout paying the half amount shown. Note: This offer will be valid till 31st of May 2016. If Tesla Themes extends this offer, we’ll let you know. A landing page is the end of the road for any target visitor. It is where people find the summarized information of the product along with the call-to-action buttons and other controls that converts. A landing page must be designed keeping the conversion in mind. After all, the marketing strategies to bring the visitors to the specific landing page are to turn them into active customers. In this article, we’ll be discussing about the creation of best converting landing pages and how they can be created using two of the best landing page creating tools, Unbounce and GetResponse. By the end of this article, you will get a conclusion for your confusion to choose between these two programs. Features of the product and catching headline – A landing page would be a zombie without a catchy headline and bullet pointed features. Appealing images (including the screenshots sometimes) – The name of the product (as headline) and little description are not everything. They can just speak about the product and its features but it cannot show how the product looks hands on. Only the screenshots of the product can help him understand (do not add more/unnecessary screenshots). Converting form with the necessary fields (make sure to limit the fields as far as possible because, the more number of fields in the landing page form might annoy the visitors). Appealing buttons with proper button text – Buttons with improper texts cannot pull the clicks from the visitors. That doesn’t mean to mislead them to make a click. I hope you understand what I mean. Eye-friendly background (white background is recommended most of the times unless there is any specific requirement). Bold or highlight the text in the summary to allow quick catch the features of the product or service. Launched back in 2009, Unbounce has focused on the landing pages based on the growing marketing trends. Unbounce empowers marketers to create and publish landing pages quickly and easily. It also allows the A/B testing without the involvement of IT. With more than 400,000 landing published so far, generating more than 31,000,000 leads, Unbounce has earned 99% user satisfaction. Faster Page Design – With drag and drop controls, you can create a landing page from the scratch by re-arranging the elements on the page as the way you wanted. Mobile Responsive – Unbounce can help you create mobile responsive landing pages that bring conversions even from the mobile phone visitors. It provides full flexibility in designing the layout and control how it is displayed on the small screens. Advanced Design Features – You can create parallax scrolling pages with flowing information on scrolling down and set full page background images to your highly converting landing pages in no time without any technical assistance. 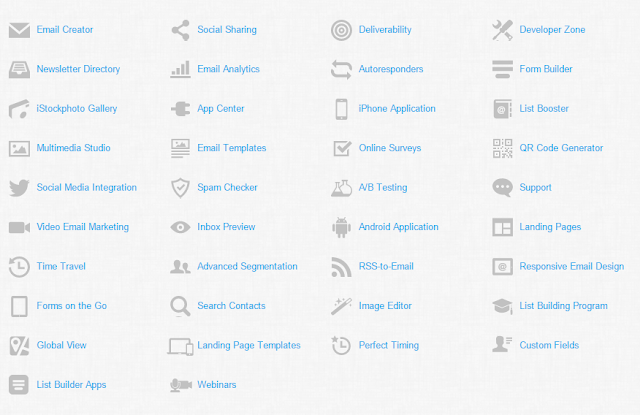 Lead Generation Tools – Unbounce allows you to create forms without any HTML knowledge. It provides controls to forward the generated leads to the corresponding teams or email programs. WordPress Integration – You can use the created landing pages with your WordPress website with an easy 1-click integration tool. You do need to worry about any hosting, DNS and CNAME issues once the pages are imported to the WordPress. It also allows you to change the URL of the landing page according to the website URL structure. Dynamic Text Replacement – Dynamic Text Replacement (DTR) is one of the best features of Unbounce. It helps the marketers create the dynamic landing pages with the ever changing keywords that are searched for. It sense the keyword searches from the search engines and displays the relevant landing page in the advertisements accordingly. Script Manager – This feature is helpful in creating scripts that are needed to be added sometimes. For example, you may want to add Google Analytics script to track down the visitors footprints for your future marketing forecasts. For such purposes, the Script Manager comes handy. Automatic SSL Encryption – Unbounce creates automatic SSL certificate for its landing pages to ensure the visitors as well as authorities the security in gaining the leads and conversions and seamless navigation among the pages. Unbounce provides 200+ readily designed landing page templates which you can customize in seconds and take them live. All these templates are well organized by category where you can choose one for your requirement so easily. You may try the trail version of Unbounce for 30 days before you sign up for a commercial plan. GetResponse has been delivering excellent quality marketing solutions with more than 350,000 happy customers from 182 countries all over the world for 15 years. This is the world’s easiest email marketing platform available in different worldly languages. GetResponse is specialized in offering 24/7 spam-free solutions with 99% delivery and conversion rates which is most important in digital marketing business. With more than 100+ outstanding landing page templates, GetResponse helps the digital marketers create eye catching, lead pulling landing pages with high conversion rates. All the templates can easily be customized in WYSISYG interface which does the job done in seconds. WYSISYG Design – Who don’t love to design pages on the go? It would be easy and interesting to create landing pages on such an interface. After all, the tools to edit and customize the landing page templates along with the drag and drop tools are provided to make it much handy to pick the tools. Responsive Design – You can create mobile-friendly landing pages with no technical skills or IT support required. You can do it yourself with no worries of technical issues. The landing page builder allows you adjust the display options for mobile, tablet and desktop accordingly. Built-in Web Forms – GetResponse provides the readymade web forms which can be customized as per the requirement for capturing the leads. Better to limit the input fields as far as possible as we discussed before. Image Editor – A landing with text alone cannot impress the visitors and help you increase conversions. GetResponse provides access to 1000+ free photos to features your landing page with applied filters, stickers, brushes and other most needed image editing tools in one place. This eliminates the migration of window to window or program to program for image editing separately. No HTML Coding – You no need to be a techie or have learned the HTML coding skills to create beautiful landing pages and web forms. Organize and design the landing page as you wanted with all the readymade tools served on the side panes. A/B Testing – You can track and monitor the landing page designs for best conversions. It also helps you decide the right places on the design to put your investment of efforts. Google Analytics Integration – Google analytics is the best way to track and improve the performance of the web pages. GetResponse allows you integrate the Google Analytics for better marketing reports and further suggestions. YouTube Integration – You can also embed your videos from YouTube seamlessly which not only attracts but also stands the visitors and know more about the product. Facebook Integration – You can add your landing page as a tab on your Facebook fan page or add sharing controls to allow the visitors share and recommend the product to their friends also. PayPal Integration – You can also add PayPal quick ‘Buy Now’ buttons on the landing to increase immediate sales and orders. Along with these, GetResponse delivers the following features for their customers to get full control of the landing page and conversions. You can try out GetResponse for 30 days with full features before you get a premium version. I bet you won’t pull back once you try this easiest landing page creator tool. Every tool have the similar features but, only GetResponse talks about the spam-free 99% delivery and conversion rates. It’s not the number of readymade templates that will help a marketer but the ease of use, control over the prospects, future marketing forecasting tools and high spam-free conversion rates that builds the right customers network and brand. 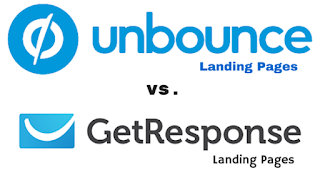 So, I’d prefer GetResponse over Unbounce regarding the same. What would you choose? Do share it in comments below! Profile pictures are personal identifiers of an average internet user. We may not able to tweak the profile pictures on social media networking sites but, we can do the same on our blogs and personal webpages. Let’s see how to make some beautiful profile pictures using known CSS. By using a simple CSS property called border-radius, we can bend the pictures’ square/rectangular shaped edges into circular shape. Increasing border-radius to 50% brings the required shape to the picture. Let’s make it beautiful with border-style property. While the HTML remains the same. border-style can be ‘dotted’, ‘dashed’, ‘double’, ‘groove’, ‘ridge’, ‘inset’, ‘outset’ other than ‘solid’. You can even use their combo like as ‘dotted solid double dashed’ and it will be applied clockwise starting from top edge. Take a look at this example (opens in new tab) on W3Schools for better idea. The border style color of the picture can also be modified using the border-color property. Value for border-color property can be the name of the color, hexadecimal code or rgb(0,0,0) values. Hope that was made simple. Don’t forget to share with me your beautiful rounded profile picture in comments section below. A responsive template should blend your blog’s layout mobile friendly. It should cuddle itself within the screen size and give the user an uninterrupted experience. Many bloggers who had their blogs on ‘blogger’ platform, though installed responsive templates, couldn’t get it displayed on medium and small screens. The reason for this glitch is caused due to two major reasons. No responsive code related to the size of the screen you are using. Wrongly setup settings in your blogger dashboard. This occurs because of the lack of necessary code to blend the layout according to some sizes of the screens. Solution: There is an easy solution for this problem. Simply add the screen resolutions in the media screen CSS rule. You can use the following abstract responsive code in your template if you want. You can also add up any screen size and add the respective layout code. *Layout code – Nothing but the code consisting of header, body, sidebar, footer and other elements of the template. This is one of the silly reasons why bloggers even change templates without checking. Sometimes, even having a responsive template installed on your blogger blog, you can’t see it rendering properly on mobile screens. This is because you might have left the setting to default. Let’s take a tour of template settings in blogger and see how effective they can be. Selecting ‘Yes, Show mobile template on mobile devices’ will show the mobile version of the template. You can only select some simple pre-existed blogger templates if this option is selected. No responsive template is effective here. Selecting ‘No, Show desktop template on mobile devices’ will show up desktop template on small screens. As the blog is already installed with responsive template, it will automatically render properly from now on. Hope it helps! Share your thoughts about it. Web designing is a tough job. It takes a lot of time for any web designer or a blogger to create every pixel of perfection in their designs for ready-to-access content. To make the job easy, web designers and bloggers actually look for free resources on the internet. Today, I’m going to share with you the whole 50 resourceful websites which offers free templates, images, icons, and favicons. You can dribble your searches through these wonderful websites and can find perfect elements of UI for a design. These designs can be used in your blog posts as well. Free Advice: Bookmark this page to catch the whole list at once instead of bookmarking all 50 individually. Freebbble – Offers a bunch of free set of icons, images, backgrounds and PSD templates. Tethr – Offers the most beautiful iOS design kit with 138 templates and 250+ UI elements you have ever seen. Dribbble – Offers the screenshots of work, process and projects shared by community of designers. Tech And All – Resource for PSD templates, mockups, fonts and icon sets. Graphic Burger – UI kits, PSD templates, mockups, icons, backgrounds, text effects. Freepik – Free vectors, PSDs, icons and photos for everyone. Pixel Buddha – Free premium resources for professional community. Teehan+lax – iPad GUI in PASD format – contains major iOS elements for designing apps. Premium Pixels – Free design resources created and curated by UK based web designer Orman Clark. Creative Market – Stock of beautiful graphics, fonts, themes, photos from 7000+ independent creators. Fribbble – Free PSD templates, UI sets. icons and fonts by Gilbert Pellegrom. Pixeden – Web graphics, templates, PSD mockups. Freebiesbug – Free PSDs, sketches, fonts and web illustrations. UI Space – Icon sets, sketches, icons and font styles. 365 PSD – Free PSDs, icons, fonts and web elements. Marvel App – Editable interface elements to help and build your next design(s). DBFreebies – Icons, UI kits, fonts, templates, backgrounds, mobile, mockups and miscellaneous UI elements. Palette for Chrome – Create a color palette on the images on the webpages. Material Palette – A palette of materialistic colors on the web. Colllor – Can pick a color code from the palette and also can generate random color codes for quick use. Flat UI Color Picker – The list of all colors with an option to diversify them according to the family. Coleure – Can select multiple colors and can mix them up. Flat UI Colors – Can choose different formats of the color code from the grid of colors. Get UI Colors – Can choose the color codes in different formats. Coolors – Super fast color scheme generator for cool designers. Hex Colorrrs – Type-in the color code in one of the formats of Hex and RGB and see it getting converted into another format automatically. Skala Color – It is a compact and feature-rich OS X color picker for web designers and developers. Boot Flat – Perfect colors for perfect flat web designs. Couleur App – Simple grab-and-tweak-the-color app for Apple computers. Adobe Color CC – Adobe Kuler is now turned into Adobe Color CC. You can select colors of type monochromatic, triad, complementary and shade. Material UI Colors – Diversified grid of colors in different formats. You can also download the swatches on to your computer if you want. Color Lovers – List of several color palettes, patterns and colors. Colorful Gradients – Gallery of beautiful color gradients. 0 to 255 – Simple tool that helps web designers find variations of any color. Adaptive Backgrounds – A jQuery plugin for extracting dominant colors from images and applying it to its parent. Paletton – Can select colors of type monochromatic triad and complementary just like Adobe Color CC. Brand Colors – Lists out several web colors used by top brands online. Material App – Icons, backgrounds, screenshots, animations and gifs of material design. FLTDSGN – Icons, themes, websites, illustrations and apps for web designers and developers. Niice – Tool that helps you get web design ideas on demand like a spark. Agile Designers – 1436 best resources for designers and developers. Graphic design, UX design and web development toolboxes. Font Park – Download different kind of fonts totally for free. Type Genius – Shows the preview of the selected font in a paragraph and on a dummy webpage. Font-To-Width – Intelligent word spacing script. Font Squirrel – Free fonts that matches your commercial requirements. Google Fonts – The huge list of fonts with advanced search options. DaFont – Gallery of numerous fonts free for download. Font Face Ninja – Helps you find the name of the font on a random webpage you wanted. Beautiful Web Type – A showcase of best typeface fonts in Google web fonts directory. 1001 Free Fonts – With over 10,00 type of fonts in the database, 1001 fonts provides free fonts for download. Canva Fonts – With 100+ most used designer fonts in the list, Canva.com provides access to their fonts for free. Web Design Issues To Take Care Of, For Bloggers? She has written some more article on Amfas Tech. You can check them out here. Though there are numerous brands which offer information about a product or service. But only a handful of them are sponsored. Therefore, you should give emphasis on sponsorship posts to gain greater visibility on the web. A majority of the users are switching to their mobile devices when going online, so all blogs which are published on the web would need to have smaller screens. Though having mobile phone is a necessity, mobile is the now the major focus. Incase a site isn’t very effective on mobile, then you are neglecting a major section of our audience. Therefore, major emphasis of any web design process needs to be centered on mobile. Therefore, any web design process needs to be based on mobile. Therefore, for any web design process to be based on the mobile, you need to design it to work on a desktop screen. Large background photos have gained popularity because of their capability to fill in an otherwise sparse, simple site. This trend has gained widespread popularity because of an increase in bandwidth across the globe and helps sites with large pictures and a lot of information. Using large background pictures is an effective strategy for web pages, and when used with flat-design buttons provides a stylish appearance to a website or blog. People using their mobile phones for browsing usually don’t have significant screen space to work with. They are often frustrated when their mobile phones zoom out automatically. In order to improve their experience of visiting your website, you will need to minimize the number of columns on your site. Do away with sidebars, so as to ensure that people who are visiting your website find your content interesting and informative. Most of them would have liked specific pieces of your site’s content. At this point, they have no interest in navigating the menu which includes the entire screen, or a huge sized inbox. You can access a number of websites so as to ensure that they find the content engaging and easy to read. There are clearly an extensive variety of sorts of programming and locales, all conveyed for different markets and gatherings of spectators. What looks "incredible" for any one particular swarm will change. This suggests that you should outline the look and feel of your interface for your gathering of spectators. Moreover, feel should be used as a piece of offset and to reinforce limit. Adding a level of sparkle to the interface is different to stacking it with pointless incredible sight. Therefore, you will need to ensure that the content of your website is updated with latest information. This will not only create interest in the minds of the consumers, but also help you gain greater visibility on the web. Whether you offer hand crafted scarves or are building a little business domain, one of the first activities you have to finish is an expert site. In today's economy, a business without a site hasn't arrived yet. With such a variety of online web facilitating bundles, the methodology may feel overpowering. Nonetheless, there are key perspectives that need to be considered before selecting a host supplier for the long term. The Web utilizes a few domain suffix, for example, .com, .org and .net, to imply a business' association. At the point when picking a host, see whether they permit you to purchase a few domain with one bundle. Case in point, a client sorts in companya.net rather than companya.com. In the event that you possess both these areas, they'll be steered to the right site each one time. Buying a few domains permits you to blanket numerous suffix to keep client stream steady. In the event that you run an independent composition business, you needn't bother with a ton of host hard drive space for your site. Be that as it may, a site that offers many individual items needs impressive space. Converse with a machine proficient about the hard drive space your business requires. Each one organization is novel, yet in a perfect world you need more space than you oblige now to help future development. Restricted space regularly obstructs deals as you stretch a product offering. You may have five workers now, however the business could rapidly stretch to 10 or more individuals in the following one or two years. Dissect your potential business development when selecting a host and their email record limits. Cheap bundles regularly have 10 email client limits. Consider a more costly choice to blanket upwards of 25 client accounts. Every representative needs their own particular record to stay beneficial. Some site hosts are hard to contact on the off chance that you have any specialized issues. Get some information about their backing before consenting to an agreement. Indeed read autonomous audits about their past help polishes. In the event that you discover numerous individuals griping about poor help, proceed onward to the following organization. You in a perfect world need accessible help 24 hours a day, 7 days a week. Sites take requests year-round, permitting you to stay productive even amidst the night. Any issues ought to be tended to quickly by the host. Continuously consider your business' center needs before selecting facilitating peculiarities. You would prefer not to be bolted into a site that doesn't offer all the potential development essential later on. The site is an augmentation of your fantasy and expert viewpoint.